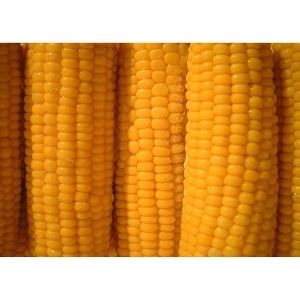 20lb Ear Corn (Corn on the Cob). Imagine a company run by guys who are completely obsessed with hunting big mature bucks, and care more about how well a product works instead of how well it sells. Chasing big mature whitetails is our passion, our obsession, it is a fire that burns deep in our soul…it’s something that drives us to sell the absolute very best products available. Pure Whitetail is 100% pure, State Certified CWD free deer urine from high quality bloodline whitetails! One deer, directly to one bottle. This is who we are, this is Pure Whitetail! 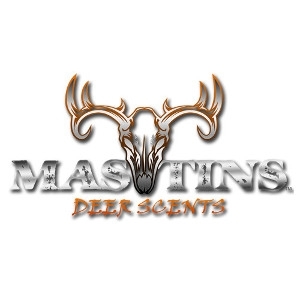 Visit www.mastinsdeerscents.com to learn more about these products. 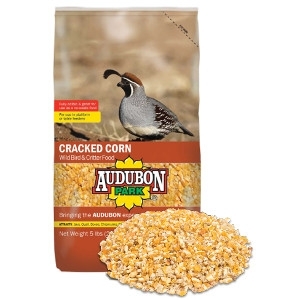 Available now at Brubaker Grain! Attract a shooter worth Bragging about! 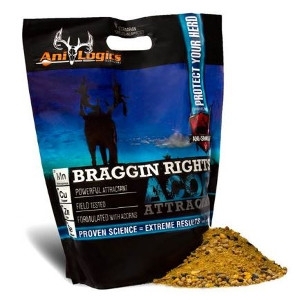 Braggin Rights Acorn Deer Attractant is a powerful grain based attractant that can be used alone or mixed with corn. The potent acorn scent will lure deer to your early season trail cameras or use throughout the year for scouting trophy bucks. Braggin Rights Acorn is field tested with proven results. 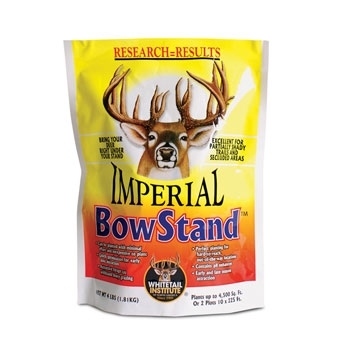 It is formulated with Ani-Shield TX4, a concentrated deer power pack, designed to promote deer health and antler growth. Healthier deer mean bigger deer with bigger racks. Bring home a trophy worth Bragging about! 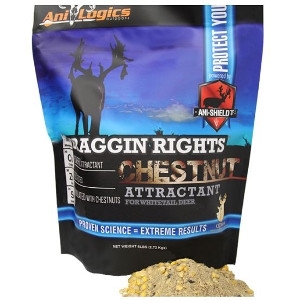 Braggin Rights® Chestnut is a powerful grain based attractant white-tailed deer crave. 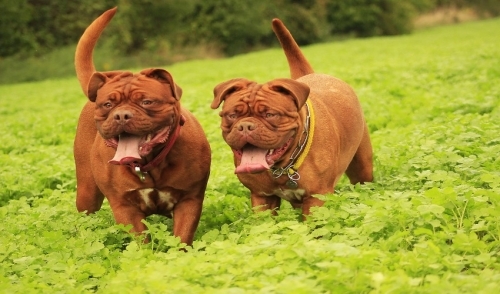 This special blend is formulated with ripened chestnuts and our exclusive, proprietary Ani-Shield TX4®, designed to optimize the immune system while maximizing genetics and antler growth. 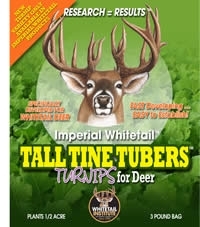 Great attractant to use scouting trophy bucks with trail cameras or for training deer to frequent a site. Lure in the whitetails and hold them with Braggin Rights® Chestnut. Upwind Odor Eliminator in a convenient 16 ounce pack size bottle. Safely and rapidly eliminates odors on contact. Copper technology continually accelerates oxidation reactions rapidly destroying odors permanently. Scent free formula, leaves no residue, has no odor of its own. Charged Copper controls and continues to conceal your identity. Upwind copper scent control products incorporate the most advanced proprietary copper ion technology to eliminate a broad spectrum of odors. Upwind copper ion technology uses a charged catalyst system that rapidly reacts oxygen molecules with odor molecules. Made in the USA. Safely eliminate odors on contact within seconds of application using this misting field spray that fits easily in your pack. Upwind Cu.O.R.E. 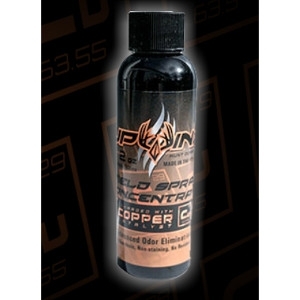 concealment uses a charged copper complex that is continuous and the catalytic action lasts for hours. Copper ion technology continually accelerates oxidation reactions rapidly destroying odors permanently. Charged Copper controls and continues to conceal your identity. 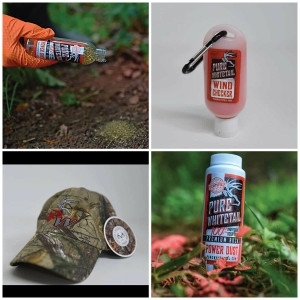 Upwind copper scent control products incorporate the most advanced proprietary copper ion technology to eliminate a broad spectrum of odors. Upwind copper ion technology uses a charged catalyst system that rapidly reacts oxygen molecules with odor molecules. Made in the USA. Upwind Odor Eliminator in a convenient 2 ounce pocket size with lockout trigger sprayer. This is a great size for spraying down your deer cam on card checks, or keeping handy in the stand. Safely and rapidly eliminates odors on contact, continuous catalytic action. Copper ion technology continually accelerates oxidation reactions rapidly destroying odors permanently. Scent free formula, leaves no residue, has no odor of its own. Charged Copper controls and continues to conceal your identity. Upwind copper scent control products incorporate the most advanced proprietary copper ion technology to eliminate a broad spectrum of odors. Upwind copper ion technology uses a charged catalyst system that rapidly reacts oxygen molecules with odor molecules. Made in the USA. Upwind 2 oz. field spray concentrate is an affordable way to refill a 32 oz bottle. Mix one 2 ounce bottle of Field Spray Concentrate with water to get a full 32 ounce of Upwind Odor Eliminator Field Spray. Tap water or filtered water works fine and you can even use some fresh stream water if your packing in the back country. Charged Copper controls and continues to conceal your identity. 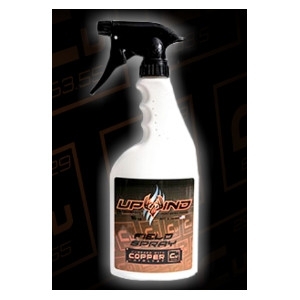 Upwind copper scent control products incorporate the most advanced proprietary copper ion technology to eliminate a broad spectrum of odors. Upwind copper ion technology uses a charged catalyst system that rapidly reacts oxygen molecules with odor molecules. Made in the USA. 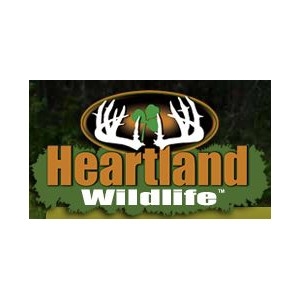 We stock Heartland Wildlife Food Plot Mixes, Deer Mineral & Attractants. 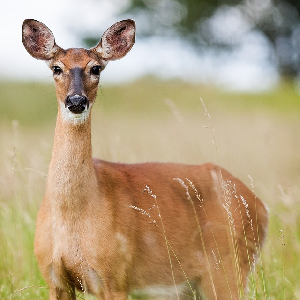 Deer go wild for the sweet aromas and delicious taste of ripe juicy apples. 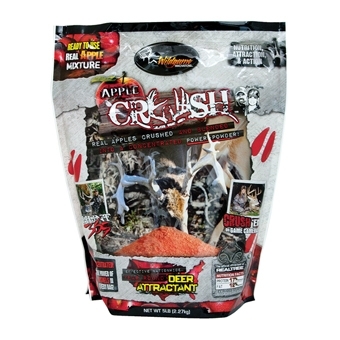 Fresh all-natural apples are sliced, dried and then crushed with an irresistible sweet mix of proteins and fats into the ultimate deer attractant. 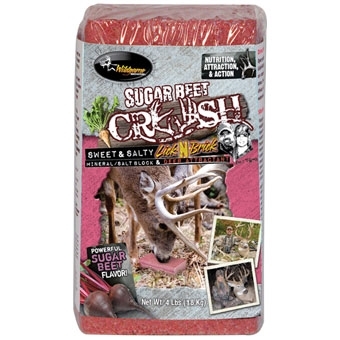 Sugar Beet Crush is real sugar beets that have been crushed and blended with fresh heat processed beans into an ultra concentrated attractant. Real acorn taste. Crushed sugar beets. Mineral-enhanced. Dont underestimate the power of the beet! Deer crave the sweet taste, and this mineral-enhanced concentrate delivers. 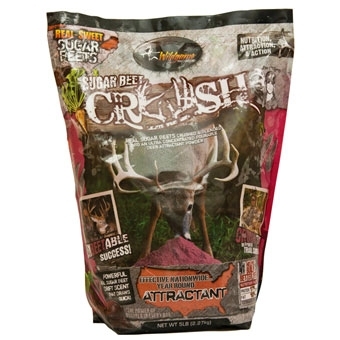 Bury the Wildgame Innovations SugarBeet Crush Lick-N-Brick Deer Attractant halfway for a lasting lick. 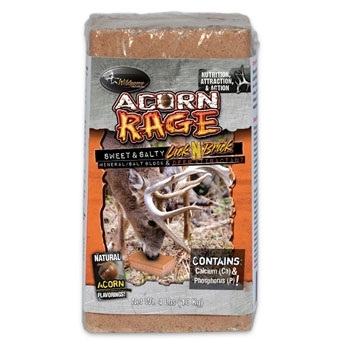 Acorn Rage Lick-N-Brick Mineral Block Deer Attractant features real crushed acorns blended with a special oil enriched with roasted soybean meal. 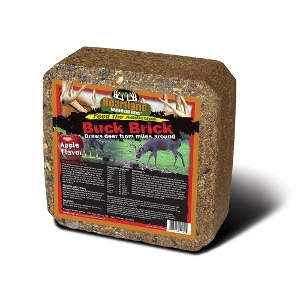 The Lick-N-Brick mineral block lasts longer than other formsjust bury one half way into the ground and keep deer coming back for weeks! Features real crushed acorns. Enriched with roasted soybean meal. Blended with special oil. Easy to use--just bury one half way into the ground. Keeps deer coming back for weeks. 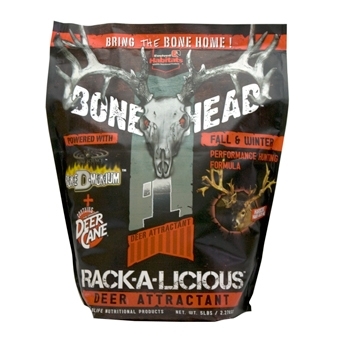 Bonehead Fall and Winter is packed with protein, fat and nutrients of Done-D-Monium with the added attractant and beneficial minerals of the original Deer Cane. 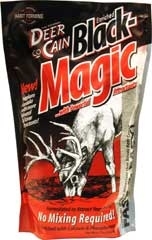 Deer simply can't resist the flavor and aroma of this high quality and potent attractant. 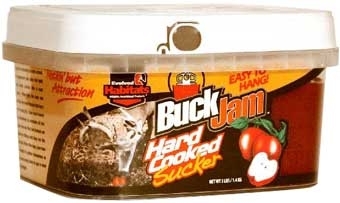 Buck Jam Hard Cooked Deer Sucker with hanger. A salt-based mineral lick that will pattern deer into the area for a long rime, and a food-bait attractant that attracts deer daily. Once the foilage is eaten the bulbs will provide an additional food source for late winter. 3 pounds will cover .5 acres. Once placed on bare ground, Black Magic immediately begins releasing magical vapors to lure deer into the beneficial mineral site. 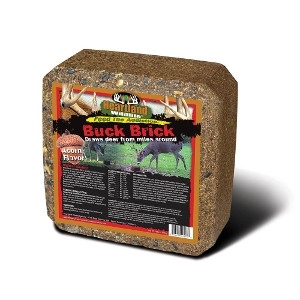 Black Magic is enriched with calcium, phosphorus, and sodium to continually contribute to the health of your deer herd. The most powerful all natural big game mineral supplement on the market. 100% all natural mineral attractant that will weather up to 10 times longer than most other attractants. 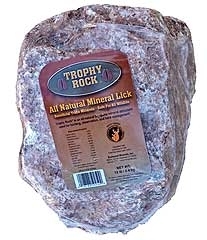 Contains over 50 beneficial trace minerals and safe for all wildlife.